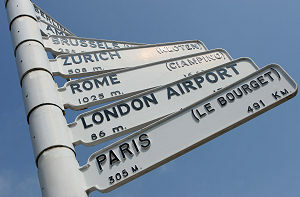 Here at life-Ins.co.uk we have found a great demand for our services from overseas Expat clients. Initially we had to tell people we were unable to assist them as we are based in the UK and our insurers would only offer life insurance products to UK resident clients. This however did not affect the demand that we were receiving for our services from clients in other countries such as the US, Middle East and Asia. On that basis we set about trying to assist these people in offering them products from UK companies that they know and can rely upon. In this section you will realise that we have achieved just that. This section is dedicated to providing insurance products, advice and assistance to not only UK nationals living abroad but now any national living away from their own country of nationality. We have insurance companies that provide Expat Life Insurance Expat Income protection insurance and now Expat Medical Insurance also known as Expat Health insurance cover. Like all the sections within this site the navigation down the left of the page will assist you in navigating this particular section which is the Expatriate section and all you have to do is click the link that is relevant to the type of insurance product you actually require. If you want us to assist you with further advice please use the contact us section in this area and submit our simple form and one of our specialist advisers will contact you as soon as possible. In addition if you require us to get you no free obligation competitive quotations for the various plans that we offer then just complete the simple form at the bottom of the page relevant to the plan you wish to be quoted on and we will do some quotes for you and email them to wherever you are. Due to the fact that our clients can be scattered all over the world we have tried to arrange various ways for you to deal with us, we use MSN messenger, we use SKYPE and obviously we have a landline phone number which you are most welcome to call at a time that suits you but please remember we are open 9am to 5pm UK time. That said we can always ring you at a time that is more suitable to you so just make sure we know when and where that is. Don't forget we also use email prolifically so feel free to email us at your leisure.